Our organization positioned uniquely as a dependable firm, engaged in offering a commendable array of Turbine Blowers to the clients. The use of Turbo Turbine blowers is common in machine-building as high pressure ventilator, vacuum pump, air pump, booster, low pressure compressor and oil-free compressor. The applications are unlimited like aireting, dust cleaning, vacuum lifting, vacuum tables, blowing off, pneumatic transport, cooling and vacuum molding. 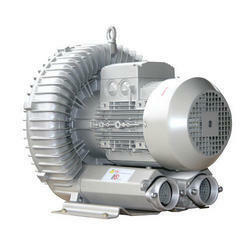 Looking for Turbine Blowers ?